This postcard is incredibly interesting in many ways. It is an artifact of theater history as well as American History (Race Relations). It also serves as an important symbol concerning African American History. The postcard appears to be simply an advertisement for a play produced by Martin Jones entitled “Mulatto”. The postcard offers rave reviews from New York newspapers. The New York Times reported the play was “Flaming with sincerity.” and the Mirror exclaimed “Stark realism”. The play was in it’s ninth month at the time of the issuance of this postcard and it was appearing at the Ambassador Theatre located just west of Broadway. Seats could be had for as low as 55 cents and for as high as $2.75. 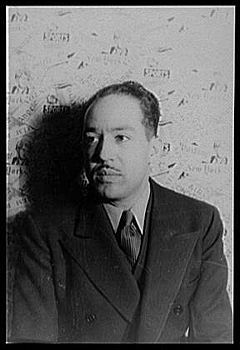 The play “Mulatto” was written by Langston Hughes. It was the first African American authored play to become a long-run Broadway hit. It opened in October (1935) and closed in September (1936) after running for 373 performances. The show then toured for two seasons. Langston Hughes wrote the play in 1930 and it was his first full-length play. The play covered powerful issues such as conflict between father and son, the power of class and whiteness, oppression of southern African Americans, and the lasting effects of slavery. The play also is seen by some as anti-lynching. The Broadway version of “Mulatto” was altered by producer Martin Jones without consulting with Langston Hughes. Jones took Hughes already shocking play and sensationalized it. Jones’s editing handiwork did not help Hughes’s reputation. The play, already emotionally charged, became very controversial. In fact, it was banned in Philadelphia. By the way, did you notice Mr. Hughes is not even mentioned on this advertising postcard? Hughes was much more than a talented playwright. He was also a poet, novelist, and social activist. He was one of the innovators of “jazz poetry” and an important part of the “Harlem Renaissance”. He was born in Joplin, Missouri in 1902. He was left with his grandparents while his mother pursued a theatrical career. His grandmother’s first husband had fought and died for abolitionist John Brown. She helped shape his intense pursuit for social and racial equality. Hughes was an excellent student. In the 1910’s he moved to Illinois and joined his mother. They later moved to Cleveland, Ohio. After high school he lived a year in Mexico with his father and than enrolled in Columbia University (New York City) in 1921. He left school due to racial prejudice and held various jobs and published some of his writing. He received some harsh criticism from some of the African American community for his use of stereotypical African American dialects. He returned to college, graduated from Lincoln College, and continued writing becoming very well known. I mentioned that this postcard was very interesting from a number of perspectives. One feature that makes this postcard unique is the printed notation on it’s reverse. The “blurb” requests that theatre goers who attended a performance of “Mulatto”, write their comments about the play on the postcard and address it to a friend. The management promises to stamp the postcard and see to mailing it. This was a creative way to publicize and market the play to a “target audience”. This method was essentially low tech social media. The writer of this postcard utilized the opportunity to pen a message to a friend in Towanda, Pennsylvania. The postcard was mailed from New York in July of 1936. Referring to the play, the writer stated “You would like this. Remember our discussions on race prejudice in E. (Cornish’s?) class.” and “I know you would appreciate this”. One of the things that amazes me is that the writer actually discussed racial prejudice in school in the 1930’s and was interested in the topic. This rare vintage real photo postcard features an advertisement for a Hungarian medicinal water company. The product is named “Hunyadi Janos” and it was produced by Andreas Saxlehner of Budapest, Hungary. On the reverse of the postcard is the advertising phrase “Le purgatif des Famiiles” which google translate reveals to mean “The family laxative”. Interestingly, the label on the bottle is more reminiscent of a wine label than a laxative label. 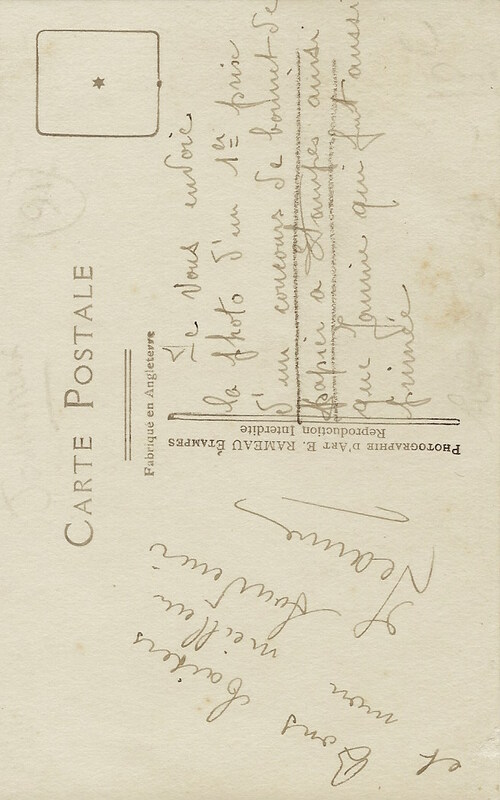 The print on the reverse of the postcard is written in French, so the postcard was likely produced in France. Research reveals that Andreas Saxlehner (1815-1889) was the owner of Hunyadi Janos Mineral Water Company. The business was established in 1863. The brand was named after Hanyadi Janos (1407-1456) who was a fifteenth century Hungarian military hero. Janos was acclaimed for driving the Turks out of the Balkans and stopping a Turkish siege of Belgrade. Saxlehner’s company was very successful. His residence became the home of Budapest’s Post Office Museum. His portrait can be seen below. 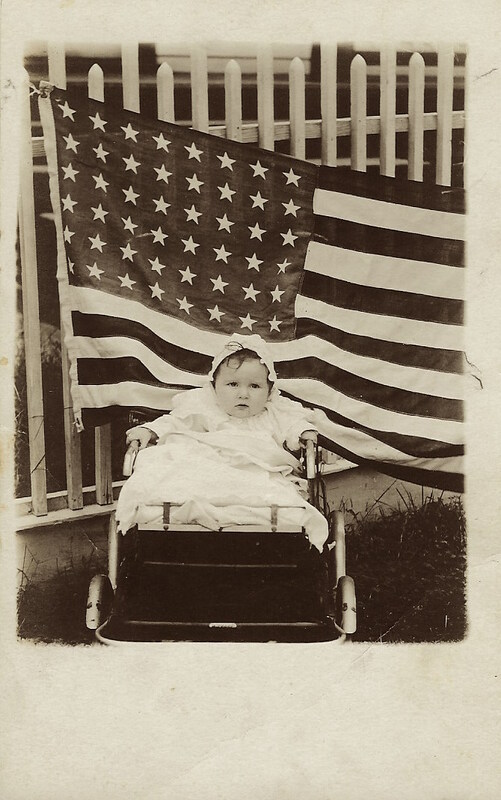 This vintage real photo postcard is truly fantastic. 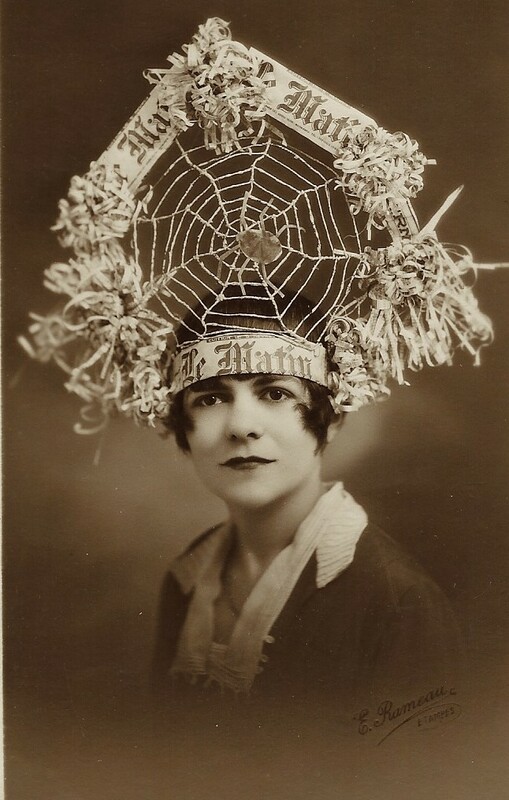 The postcard features a pretty woman wearing a gorgeous spider web style hat, complete with spider. To top things off, the hat is made of torn newspaper. This photo postcard is advertising “Le Matin” which was a French daily newspaper that was first published in 1884 and discontinued in 1944. This interesting photograph was taken by E. Rameau. The postcard’s stamp box indicates that it was published around 1916.